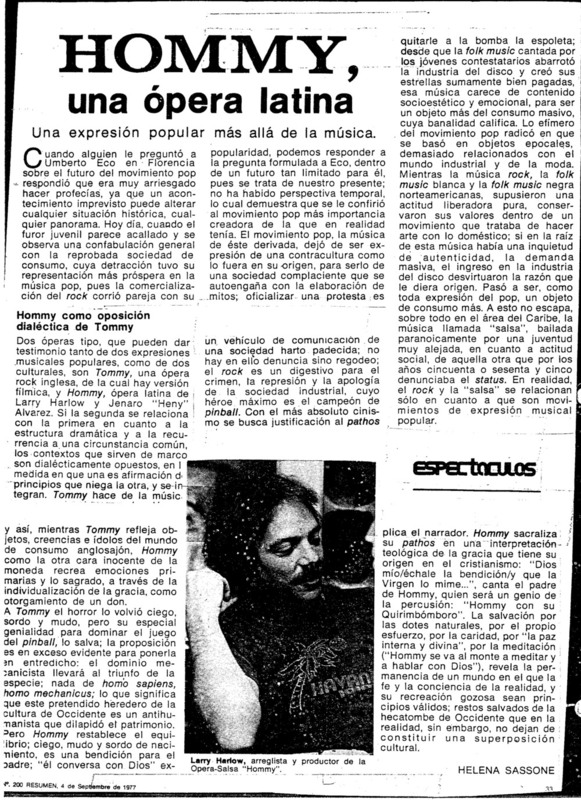 The idea came to life in 1973 with the opera “Hommy” (lyrics penned by Heny Álvarez) that told the story of a boy who was born deaf and blind, but had an enormous talent for percussion. Here, the greatest musicians of the time came together: Justo Betancourt, Cheo Feliciano, Adalberto Santiago, Junior González, and Pete “El Conde” Rodríguez, not to mention the woman who would later become the “Queen of Salsa”: Celia Cruz. 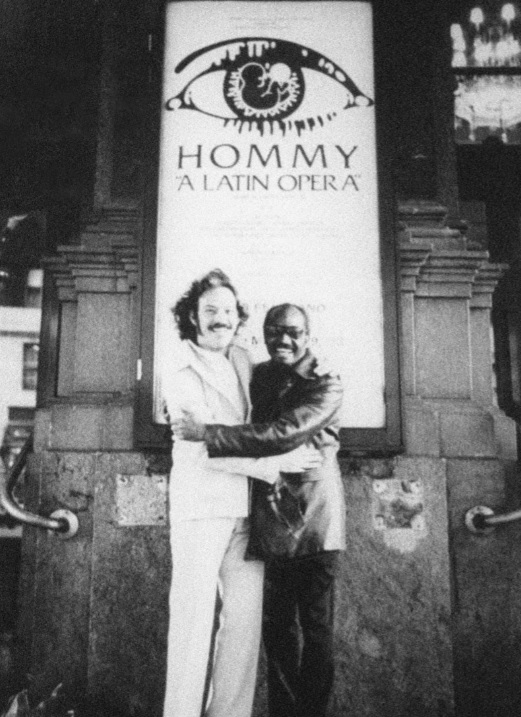 Celia Cruz went to New York to meet with Masucci and discuss the possibility of recording with the Fania label; when she arrived, she discovered that her meeting was in the same studio where “Hommy” was being recorded. Celia told me, “I got so angry, and I’m not an angry person. They had me all set up to sing ‘Gracia Divina,’ which I had never even heard. But I learned it and I sang it.” “Gracia Divina” was an enormous hit, and opened the doors of success to Celia Cruz, who immediately recorded “Bemba colorá” with the Fania All Stars. The rest is history. 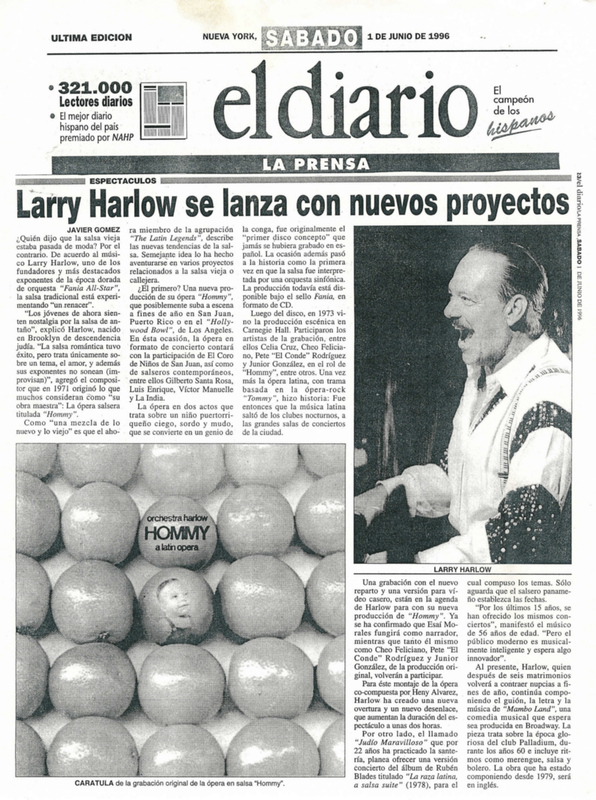 The musical and rhythmic variation in “Hommy” offers an amalgam of traditional Cuban music, in wonderful arrangements by Larry Harlow. This is a veritable representation of the state of salsa music in the early 1970s. During that time, violins began appearing in salsa music, and figure prominently in “Hommy.” This recording presents salsa at maximum capacity, and is an indisputable achievement of Larry Harlow’s musical magic. 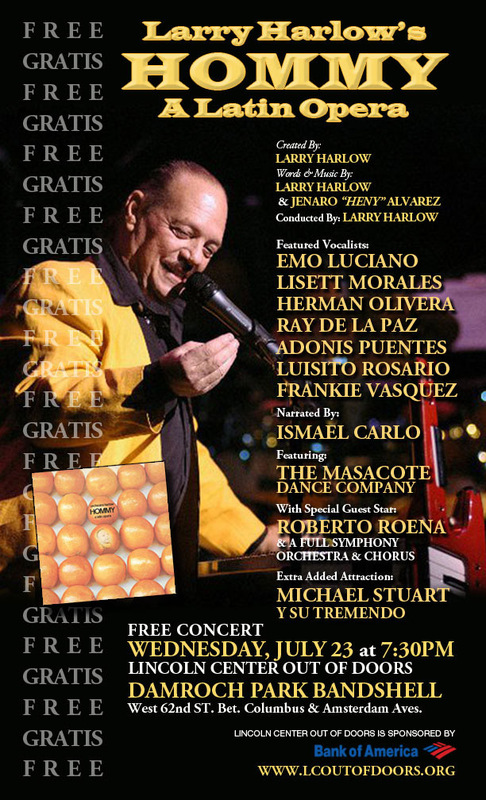 The tracks “Es un varón,” “El día de Navidad,” “Quirinbomboro,” “Gracia Divina,” “Cari-Caridad,” and “Soy sensacional” were undeniable worldwide hits that became dance numbers and points of discussion among salsa musicians. 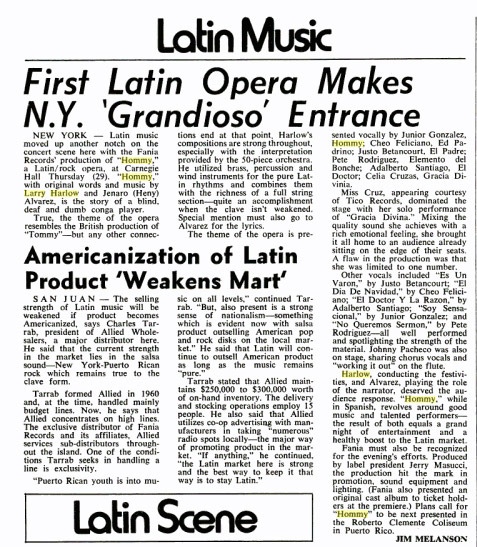 This was the first time that a Spanish-language, salsa-themed opera had ever been presented to the masses. The opera ends with a chorus of pleas to the spiritual forces of the universe to end suffering on earth and the war in Vietnam through divine grace and charity. At the same time, there is the resignation of the people, who prefer vacillation, not sermons on sensible living. 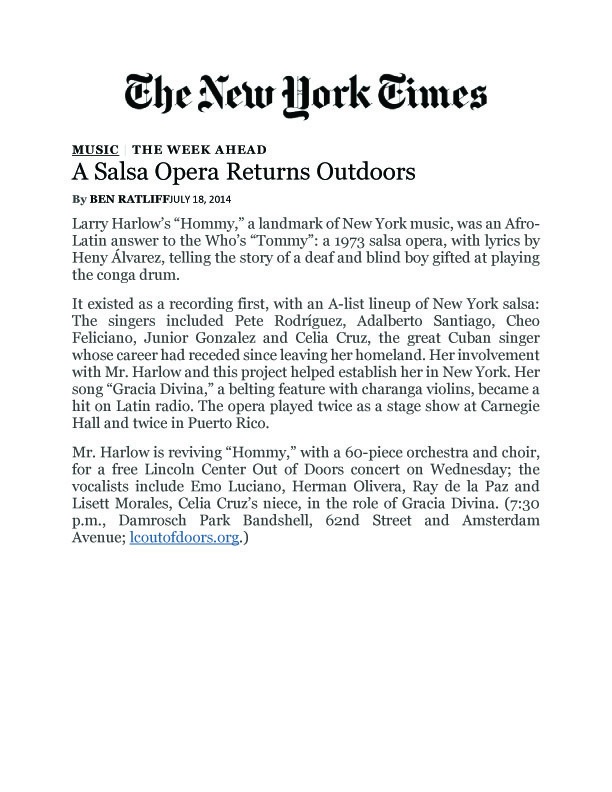 “Hommy” opened the doors for this kind of performance to the salsa market. 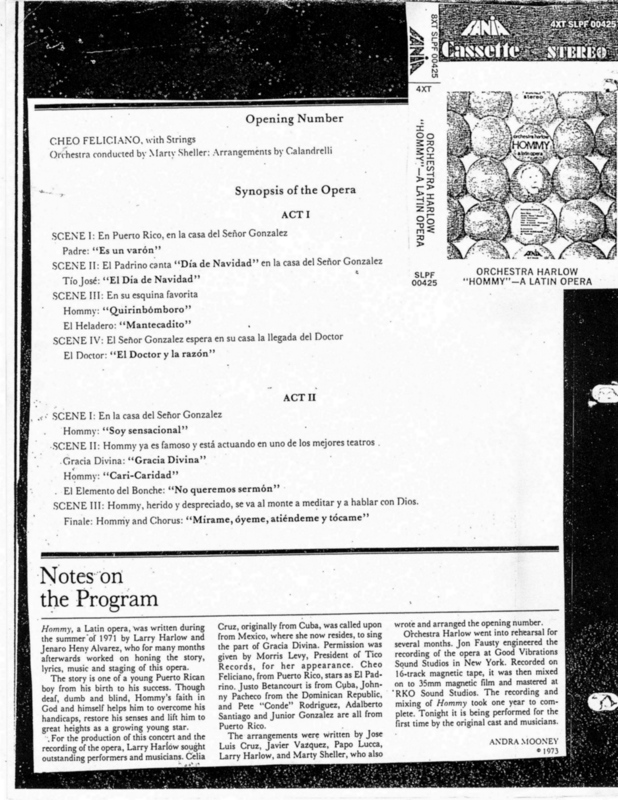 The opera enjoyed great success in Puerto Rico. 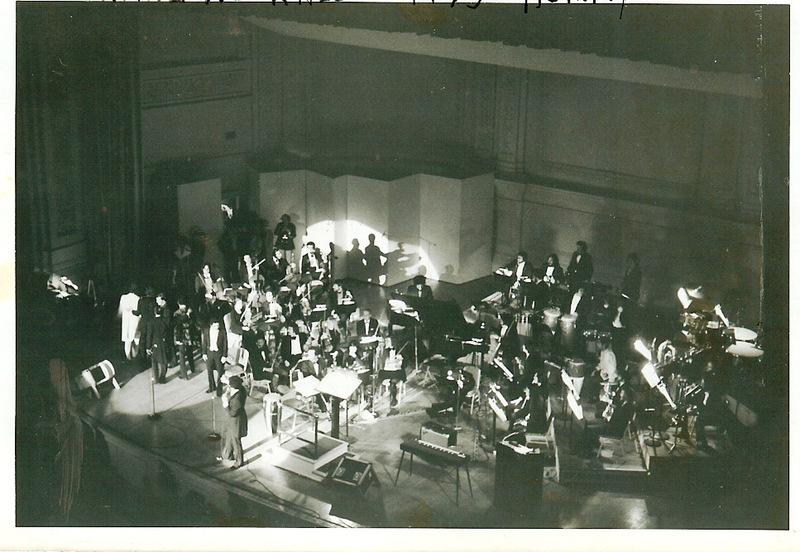 Through “Hommy,” salsa took on a sophisticated air, and this legacy opened the doors for the Afro-Caribbean musical tradition to enter the most prestigious performance halls in the world.